Ideally Khajuraho is the place abundant with temples, forests, falls, forts, lakes and so on. Rajasthan’s amazing Pink City, Jaipur, welcomes tourists from the four corners of the earth every year. Goa has long been recognized as the most naturally beautiful, fun and laid back beach holiday destinations in India, if not all of Asia. Nainital is a sparkling gem in the Himalayan necklace, favored by grand characteristic quality and differed common assets. Spotted with lakes. 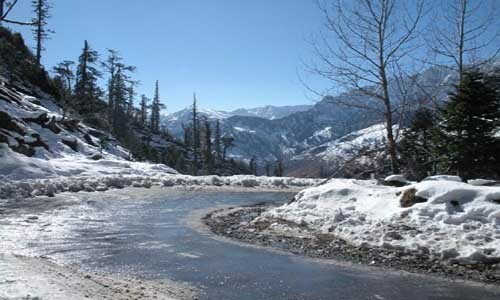 At the far northern end of the Kullu Valley lies this lovely visitor town called Manali. The Botanix Nature Resort has wonderful traditional restaurants serving delicious Indian cuisines. The Club platinum resort is a luxury and classy resort with complementary amusement and Water Park. Jim Corbett National Park is the nearest tiger reserve from Delhi. It is famous for Bengal tigers, elephents and beears. You may get into nature jungle,river, hills, animal, birds, reptiles. An old town of Kolian tribes on the bank of River Ravi. Plan your trip during Suhi Mata Mela and Minjar Mela or Notable male. Srounnded by seven lakes between tea garden, home of migrated birds and animals with lots of camp sites between wide range of floors and trees. Earlier Dalhousie was in Punjab then it was transferred to Himachal. Various Hindi bollywood movies has been shooted here. Dalai lama also visited Dalhousie many times. Pink Colour of buildings with large no of Heritage sights, forts, road side market with dal bati churma, Lakes and markets. Directly connected to delhi by NH 8 & to Mumbai by NH 12. We as Destination Travel management having good ti-up with various locations and lots of hotels and resorts where you can organizes your offsite. According the number of persons, budget and test of the clients we arrange entire trip on very economical cost. This is the reasons we use to get repetitions of the companies or clients. We have arranges such tours from 10 persons to 1800 persons tour on PAN India basis.